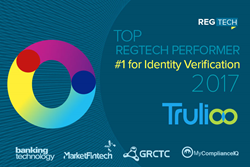 Trulioo was ranked first place for the second year running in the Verification/Identity Checks category of the 2017 RegTech Performance Report. RegTech is making a name for itself as it allows fintech to flourish and focus on innovation, while automating the more cumbersome processes of compliance. Trulioo, the leading global identity verification company, is elated to announce that its flagship identity verification solution, GlobalGateway, was ranked first place for the second year running in the Verification/Identity Checks category of the 2017 RegTech Performance Report, published by Market Fintech Limited. The report, which provides a clear view of the RegTech sector, also ranked Trulioo and its electronic identity verification platform, GlobalGateway, fourth in the Overall Supplier Rankings. The report focuses on what RegTech solutions are gaining market traction, what kind of institutions are deploying them as well as the scope of solutions and areas of compliances being addressed. Developed for an international market, GlobalGateway helps businesses to comply with a wide range of identity verification requirements, including Know Your Customer (KYC) and Anti-Money Laundering (AML). “RegTech is making a name for itself as it allows fintech to flourish and focus on innovation, while automating the more cumbersome processes of compliance, such as vetting clients and transactions to prevent money laundering and other financial crimes,” Ufford continued. RegTech providers have sprouted in recent years to accommodate the rapid growth of financial technology, offering innovative solutions to help meet various regulatory challenges while reducing the manual processes, and costs, associated with compliance. Trulioo is a global ID verification company that provides advanced analytics from traditional and alternative data sources to instantly verify identities online. 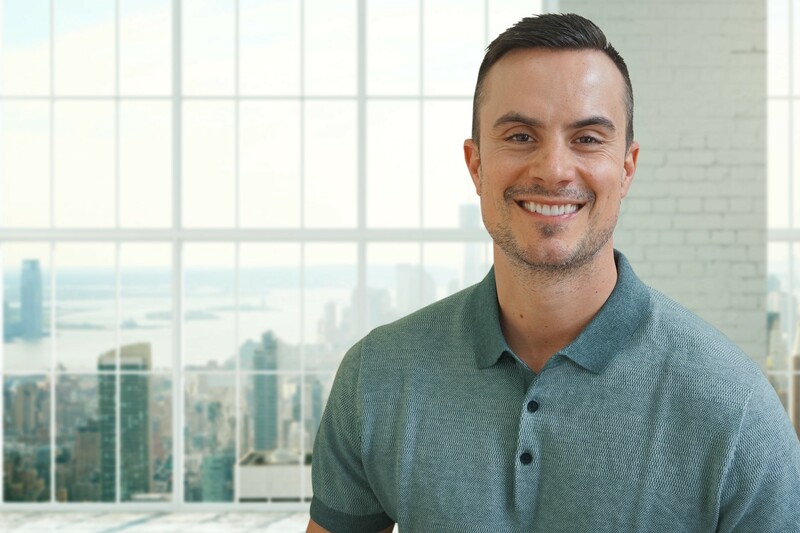 Named as a 2017 CNBC Disruptor 50 Company, Trulioo’s mission is to solve global problems associated with verifying identities online by powering fraud prevention and compliance systems for customers worldwide, in an effort to increase trust and safety online. Trulioo’s bank-grade electronic identity verification (eIDV) platform, GlobalGateway, enables businesses to perform frictionless identity verification for more than 4 billion people in over 60 countries via more than 200 data sources – the widest coverage in the market. GlobalGateway helps businesses comply with Anti-Money Laundering (AML) and Know Your Customer (KYC) identity verification needs and provides a reliable and trustworthy way for businesses to evaluate new and existing users through one single API. With the recent addition of ID Document Verification to GlobalGateway, which analyzes, verifies and authenticates 3,500 different types of identity documents from nearly every country in the world, Trulioo is the first provider in the market to offer eIDV, AML watchlist screening, and ID Document Verification through a single integration. For more information visit http://www.trulioo.com. “GlobalGateway was built from the ground up to address cross-border AML and KYC compliance in a transparent, fast and secure manner.” - Stephen Ufford, CEO of Trulioo.